Stop Struggling with Bulky Plugs! We've all used surge protectors, backup batteries and other means to connect and protect all of our computer equipment and peripherals. I don't even need to talk about TVs, stereos, DVD players, satellite or cable boxes, game consoles, Media Center extenders or Media Centers themselves. We depend on electricity to run all of our electronics. I'm pretty sure that almost every one of you has tried to plug in one more power block only to find that they're just too big to fit in that empty slot. Now, Flexity offers a couple of solutions that make keeping those electric connections neat as well as protected. This is an essential for anyplace that needs a solution with flexible connections to get the most from your power strip. 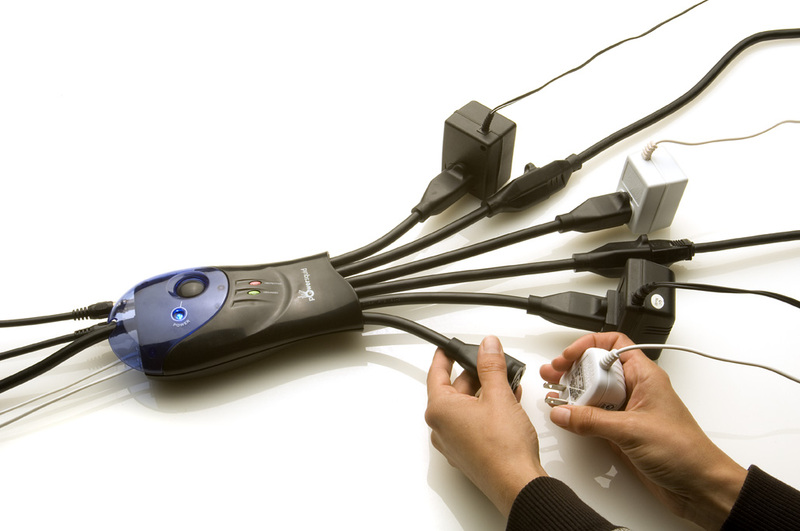 The PowerSquid is perfect for workshops or any other area where you need a power strip but not additional surge protection. The 15 amp breaker will switch off the PowerSquid if there's a power overloaded. 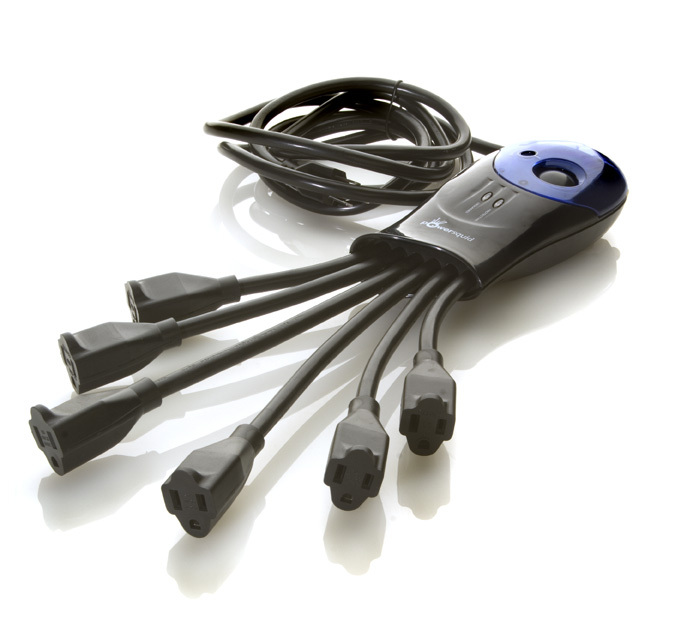 The PowerSquid comes with five flexible extensions - two 6" connections, two 8" and one 10". The PowerSquid is one of those products that makes you wonder why you never thought of it. it's simple, effective and inexpensive. This is a product that I'd like to have in every single room in my house to replace all my old surge suppressors. Along with the flexible power connectors, the PowerSquid Surge 3000 has something that many other (and more expensive) products don't offer - a power filtering technology. Any videophile or audiophile knows that there's a lot of electromagnetic interference in electric current. Although it might be slight enough that we don't notice it, our electronics do. PurestreamTM helps protect your equipment while enhancing sound and picture quality. Flexity PowerSquid uses the latest and most sophisticated technology known today. Ultra Metal Oxide Varistors (M.O.V.) enhance heat dissipation and capacity and is the heart of the surge protector. The Tablet PC is happy to announce that The Flexity PowerSquid Surge 3000 has been awarded our Editor's Favorite Award.